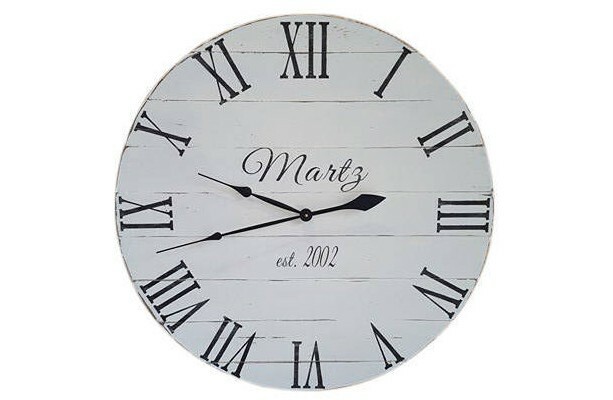 This large 24” diameter personalized rustic wall clock has been made from new 1x4 pine wood. 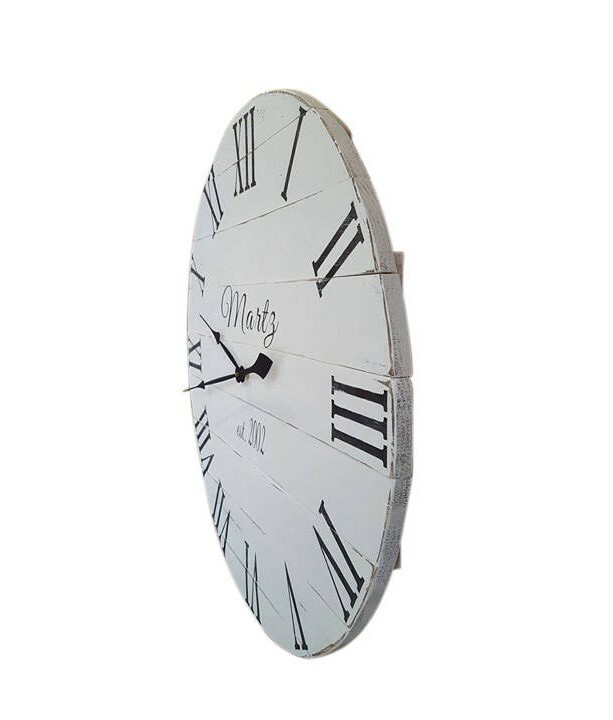 It has been painted in an off-white with black roman numerals and has been distressed. 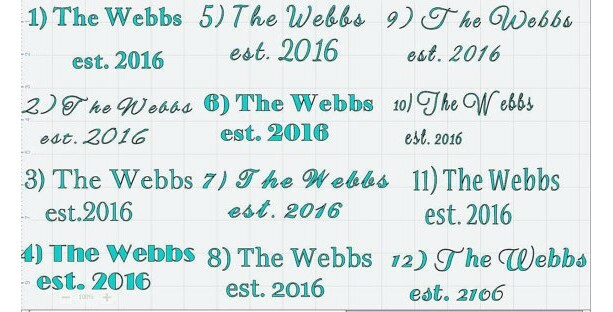 The last picture shows the fonts that are available for the personalization. 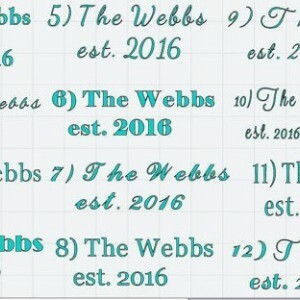 Font #9 was used for the clock in this listing. 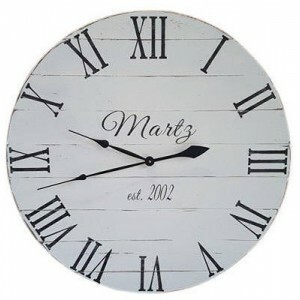 *** at checkout please enter the font choice, the last name and established date exactly how you would like it to look on your clock. For example: Mahon est.2004 or The Mahons Est. 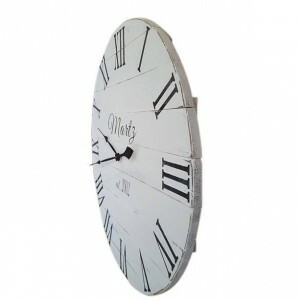 2004 Our current wait time on a clock is 7-14 days due to our volume of orders. 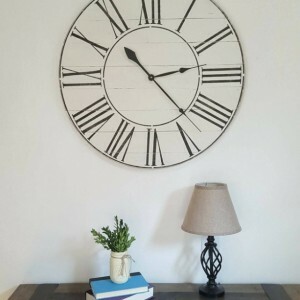 We strive to get it done as quickly and early as possible. The clock mechanism and hands will be packaged separately to avoid any damage to the hands while in shipping. "AA" battery not included.